We are no longer TicketGuardian. That doesn’t mean TicketGuardian is dead, by no means is it going away, but it does mean things have changed. Starting today and from here on, we will be Protecht. This move is designed to streamline and simplify Protecht’s offerings to our partners, prospects, and customers. This is for you. We’ve had an incredible opening to 2019. We’ve launch partnerships with Learfield, Tickets.com, Paciolan, and Spectre and are in the works with a few more. We launched our documentary series, FanStories while hosting our second Monster Energy NASCAR Cup Series TicketGuardian 500 in Phoenix, Arizona. 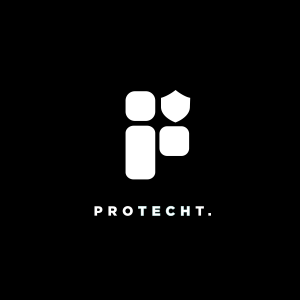 The primary goal of the rebranding is to concentrate on our mission statement, “We Protecht What Matters” as we continue to grow at such a rapid pace. We’re here to protect those incredible encounters and memories as well as the investments fans make in them. We also provide an unprecedented level of control and information for platforms and organizers in managing their events to help protect those investments as well. Our industry-leading live event technology and consumer-facing protection products help provide ticketing platforms and organizers with control over inventory, additional lines of revenue, fraud prevention tools, and fan engagement through enhancements like an improved checkout flow, bot detection (beta), and upgraded security. Through our FanShield, TourShield, EventShield, RegShield and FraudGuardian offerings we provide a dynamic solution for the live events industry to protect attendees and organizers alike from financial burden by insuring tickets, registrations, and events including music, sports, endurance, conferences and more. It’s easy for things to get muddled and confusing these days, and what we all want is simple; Clarity. So now you have it. We are more than insurance, we are more than tickets, and we are more than insurtech. We have been those things, and we still care about those things, but they are just part of who we are. Who you are and what you stand for matters. We stand for the belief that everyone should be able to make memories that they can one day share with others. We stand for you because we are you.